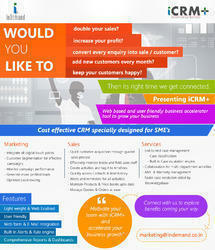 With CRM emerging as a key tool driving growth for businesses across the globe, InDemand has launched their own CRM product to enable businesses to automate key business processes that will enable Sales and Marketing team to acquire new customers thereby increase revenue and customer base significantly. Globalization and changing global economies have changed the consumer as well as network expectations of FMCG, Consumer and Consumer Durable goods manufacturers. leading to increased demands for all categories of goods with high expectations of the customers creating great opportunity and threat for the manufacturers as well. This is yet another equally good service from VITS. Much helpful for travelling sales and marketing personnel, this enables them to send their reports much faster (quicker than email !) plus offers essential customer management, records, enquiry follow ups and records etc. We are supported with the team of accomplished personnel, who have made them totally betrothed in Sales Software Services. Our developed software is highly desirable in market for its perfect working and quality. Keeping broad necessity of our customers in mind, this software is highly accomplished to be worked on flawlessly. Sales Tracking System Software. Owing to its systematic execution and effective retail billing efficiency, the rendered retail billing software system is highly demanded. 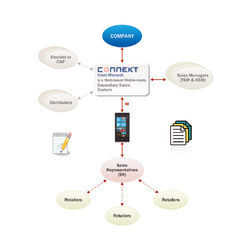 The Sales Tracking System Software can be rendered by us in user-defined specifications. Records daily activities, employee record, evaluates the productivity of each employee, record customer call, enquires, tracks much more.. Direct store delivery (DSD) has historically been looked at as a hybrid problem since it consists of both the store replenishment and computer assisted ordering, inventory management as well as the full downstream deployment, logistics, manufacturing, and raw material requirements. - Sales Person can stay focused on sales target. Retail management systems with dedicated multi-channel retail software will help increase enterprises-wide business performance and management. We help you setup your sales and distribution organisation, every aspect right from the product planning stage to the delivery of product to the end customer is evaluated and taken into consideration to arrive at the optimum sales & distribution engine for your business.